The Revenue Committee heard testimony Feb. 7 on a bill that would expand the state income tax deduction for military retirement pay. Under current law, military retirees may, within two years of their retirement, choose between two options to exclude military retirement benefit pay from state income tax. The retiree may elect to exclude 40 percent of his or her military retirement benefit pay for seven consecutive taxable years or 15 percent for all taxable years beginning when he or she turns 67. LB153, introduced by Gordon Sen. Tom Brewer on behalf of Gov. Pete Ricketts, would replace the current election options and allow an individual to exclude 50 percent of his or her military retirement benefit income to the extent included in federal AGI. The state Department of Revenue estimates the bill would reduce state income tax revenue by a total of $42.9 million over the four fiscal years beginning with FY2019-20. Brewer said Nebraska’s tax system discourages military retirees from settling here. When retirees leave for states that do not tax military retirement benefits, he said, Nebraska loses qualified workers who also pay sales, income and property taxes. 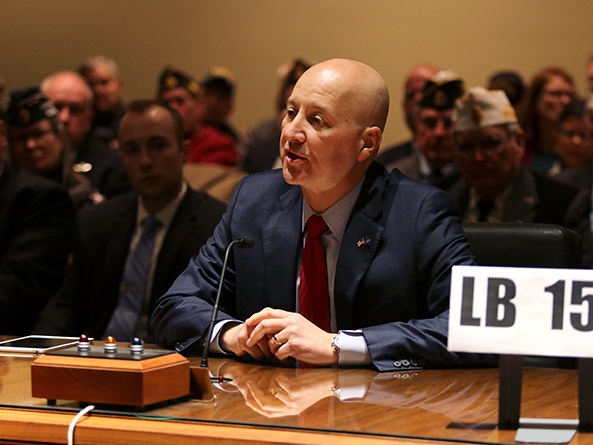 Ricketts testified in support of the bill, saying it is part of his effort to make Nebraska the most military and veteran friendly state in the country. 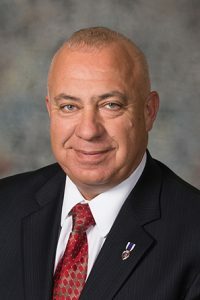 He described LB153 as a workforce development bill that would help the state retain skilled military retirees, many of whom begin a second career after they leave the service. Todd Heyne of Lincoln also testified in support of LB153 on behalf of the Lincoln Chamber of Commerce Military Affairs Committee. Heyne said he could have moved to any of the 29 states that do not tax military retirement pay after he retired from the Navy, but he chose to live in Nebraska to be closer to family. Like most military retirees he knows, Heyne said, he started a second career and contributes to the state’s economy. Renee Fry, executive director of OpenSky Policy Institute, gave neutral testimony on the bill, saying that only a small number of people are motivated to move because of taxes. “What we’re likely to do if this bill were to pass would be to give a tax credit to people who choose to live in Nebraska … rather than actually motivating people to move here,” she said.